Smaller-scale CSP means lower temperatures—and it could mean lower-cost solar power. Concentrated solar power (CSP) might conjure up images of massive solar collector installations in the California Mojave or North African desert with tens of thousands of mirrors or miles of parabolic troughs — along with a lot of annoyed tortoises, politicians and environmentalists. Sopogy’s take on CSP is a bit different than that. I spoke with Sopogy’s CEO, Darren Kimura, in his headquarters on Oahu. Kimura founded the now 40-person firm in 2001 in Palo Alto, California and is a 19-year veteran of the energy industry, having already founded and sold an energy firm prior to his stint at Sopogy. The firm was originally funded by Kimura but has since taken about $20 million from investors including Cargill’s VC arm, Black River Ventures, eBay founder Pierre Omidyar and TWC. Large-scale CSP firms like BrightSource Energy are “dealing with significantly larger projects with steam at nuclear power plant temperatures.” Sopogy’s steam temperatures are more along the line of what a company like Ormat or Calpine would be encountering at a geothermal power plant. The MicroCSP of Sopogy also has the benefit of a thermal storage option. The storage fluid is a food-grade mineral oil stored in a container “like a big thermos.” Additionally, the thermal inertia of the working fluid eliminates some of the intermittency faced by a photovoltaic panel installation. The Sopogy system doesn’t need high DNI (Direct Normal Irradiance) as the BrightSource Energy system does, according to Kimura. BrightSource needs 7 plus DNI but Sopogy can work at 5 DNI. That means Sopogy can and is installing systems in the Pacific Northwest, Idaho, the Middle East, Spain and Australia. “We are competing against PV [and] we are cheaper than most PV,” according to the CEO. Kimura said that the capex depends on the market and depends largely on the local labor costs since the system is built on-site. The projects can be installed for as little as $3 per watt, but in general, the cost is $5 per watt with an LCOE of about 20 cents per kilowatt-hour. “We have about 75 megawatts under contract and in the process of being deployed,” according to the CEO. Other CSP players include Ausra (recently purchased by Areva), Abengoa (which is doing small scale CSP for air conditioning), BrightSource, eSolar, and SHEC. Michael Kanellos has written about next-generation solar thermal and molten salt storage, while Brett Prior writes about the economics of CSP here. A few years ago, when a polysilicon shortage suddenly drove up the price of photovoltaic panels, solar thermal was all the rage. Start-ups were emerging every week, introducing new super-concentrating mirror technologies, special reflective films and other innovations. Companies began announcing plans for utility-scale solar thermal plants anywhere there was sun in the United States. Solar thermal, also called concentrating solar power (CSP), not only had a cost advantage over photovoltaics, it offered one thing PV never could: storage, and thus stability. So where did all the solar thermal go? While there have been a few highly publicized bouts between large-scale solar thermal proponents and conservation groups concerned about the land required to build such plants, the real issue comes down to simple economics. Back when there was private capital available to fund projects like giant solar plants in the desert, the technology was still new and relatively untested. Now, just as the technology has matured, private capital has dried up with the recession. Federal stimulus money has provided some grants and loan guarantees, but by all accounts the government just can’t afford to be the only funder of large-scale solar thermal plants. 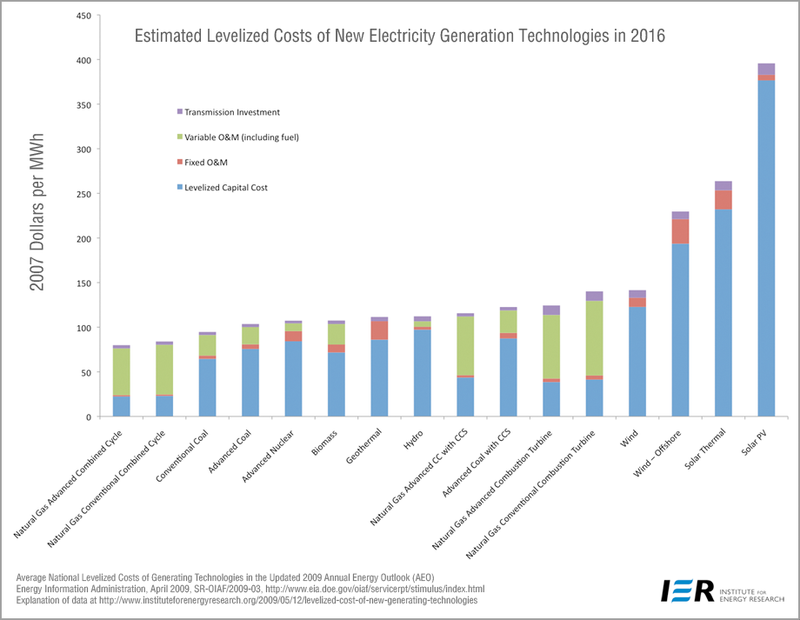 Moreover, the silicon glut is long gone, and PV is now the better option for utilities looking to get renewable energy into their portfolios cheaply and quickly. Elsewhere in the world, CSP is still the technology of choice for large-scale solar, according to Jayesh Goyal, North American sales director for French utility Areva, which recently acquired Silicon Valley solar thermal start-up Ausra Solar. The key for the U.S. market is to bring down the cost of the equipment, its installation and its operation and maintenance. Such choices make it easier to get financing, because companies are using tested, proven components, Jain added. It also makes it easier to partner with manufacturers to get better deals on parts and drive down the overall cost of a project. A number of solar thermal companies are working on the cost problem, each finding new ways to make the economics more attractive to American utilities. There are three primary CSP designs on the market today: solar towers, parabolic troughs and linear-Fresnel systems — and proponents of each have a rivalry similar to that between PV and thin film. Engineers can wax poetic for hours on the differences between the three, but the fact is that all CSP systems work in essentially the same way: Reflective surfaces with tracking systems are used to concentrate heat from the sun into a receiver filled with a heat-conducting fluid. It is then transferred to an engine that converts the heat to electricity. In parabolic trough systems, each trough has its own receiver, while linear-Fresnel systems feature several rows of mirrors that point to a single receiver. In tower systems, thousands of tracking mirrors in a field capture and reflect sunlight to a central receiver atop a tower. Each technology has been touted as the most efficient, stable, cost-effective choice in the solar thermal repertoire. So far, linear-Fresnel — the technology used by Ausra Solar — has been dominating the market. However, the parabolic trough team recently has made some advances in cost reductions. Colorado-based SkyFuel, for example, is set this year to commercialize its SkyTrough, a product the company estimates uses 30 percent fewer materials, 40 percent fewer parts and requires half the assembly time of the average solar thermal system. Those numbers are backed by a report on SkyTrough published by the National Renewable Energy Laboratory. Honolulu-based Sopogy sells what it calls a MicroCSP parabolic trough system that allows for the affordable, quick installation of smaller solar-generating plants, in the 2MW range. The company’s systems can be installed in half the time it takes to install other systems, according to Sopogy representatives, and don’t require electricians or specialized installers, which reduces installation costs by 60 to 80 percent. Sopogy’s greatest innovation, however, may be its marketing strategy: All CSP systems can operate at lower temperatures to fulfill a variety of demands beyond simply generating power. Sopogy has targeted that broader market, selling its system as a device with many applications — from power generation to cooling to drying. In its first installation, a 2MW thermal energy plant in Hawaii, Sopogy is generating power on the grid; the next phase will help power a small desalination plant. In a rooftop installation at Sempra Energy in San Diego, Sopogy’s system is running the building’s air conditioning system. While individual companies are making incremental improvements to CSP technology, until the cost is lower than that of photovoltaics, utilities are likely to continue to embrace PV. To overcome the bias, secure customers and acquire project financing, Goyal says companies need to be ready to back performance claims with their balance sheets. That’s something most start-ups can’t do, which is why many of them are partnering with larger industrial partners. According to Goyal, that was the case when Areva acquired Ausra; similar acquisitions are happening throughout the industry, most notably Siemens’ acquisition of Israeli CSP company Solel last year. To deal with utilities’ hesitation and price concerns, Goyal says Areva’s strategy of building so-called “booster” projects at existing plants—smaller CSP installations that take some of the load off an existing power plant—have been successful. The booster plants help reduce emissions and increase a utility’s comfort level with CSP. Still, he said, utilities are never likely to choose CSP over PV simply because of the storage and stability advantages of the technology. That holds true in Europe, where feed-in tariffs and government subsidies make the two comparable, and utilities show a heavy preference for CSP. Analysts and experts are confident that day will come in the United States as well. The U.S. Department of Energy has predicted a 13 percent growth in the CSP market over the next 20 years, and a total installed U.S. capacity of 20GW by 2020. In other words, the sun isn’t ready to set on solar thermal. Moving away from the Sun Belt locations with their near-perfect direct normal irradiance (DNI), CSP Today’s Andrew Williams explores the advantages of small-scale and modular CSP options for temperate regions. Compensating for size, several technologies enable developers of smaller scale CSP systems to capture waste heat and convert it into a cost-effective source of electricity. Several smaller-scale an modular CSP systems use an Organic Rankine Cycle (ORC) to recover heat from low-temperature sources. A good example is UK-based Freepower’s ORC Turbine Generator, a closed-cycle electrical power-generation system driven by external heat sources. It comprises a generator, directly coupled to a multi-stage turbine driven by high-pressure hot gas (the working fluid), which is heated up and vaporised by the waste heat source before driving the turbine. Two US products also employ ORC technology. Sopogy’s MicroCSP system is designed on a low temperature, low pressure scheme, whereas Trimodal’s LTPC engine is a positive displacement device capable of using heat sources as low as 180F / 82 degrees Celsius. “A positive displacement device is far more efficient and therefore capable of producing mechanical energy at a much lower pressure,” says Marty Johnson, President of Trimodal Group. France-based Heat2Power’s system does not use an ORC, instead using air as the working medium. It sees this as an important advantage for CSP since it makes it possible to run in an open thermodynamic cycle, aspirating ambient air and exhausting hot air, thus eliminating dry or liquid cooling requirements and saving on cost and water consumption. Many current offerings are relatively small-scale, which can be an advantage in some situations. For example, the Freepower system can be located at the point of energy consumption (say, alongside rooftop solar-collectors), removing the need for a grid and eliminating distribution costs. Other systems, such as Heat2Power’s and Sopogy’s, are modular, opening up the possibility of building them up to utility-scale. However, the ideal scale is likely to vary between applications. “In the case of solar absorption cooling, the technology is ideally [suited] to rooftop-installations, [whereas] for process heat system sizes can be as small as several collectors to several hundred collectors. In power generation, the technology is best suited to utility-scale ground-mounted applications,” says Darren Kimura, President & CEO of Sopogy. Trimodal’s system differs because it is designed for commercial or utility-scale. Their current unit is a 100kw system, sufficient to power about 60-80 ‘US-sized’ homes. They have recently finished engineering a second 250kw unit and expect to rapidly scale-up to larger-sized 250kw, 500kw, 1MW, 2.5MW, and 5MW modules. “The technology could potentially be scaled to volumes above 5MW, but we feel that it will be most efficient to construct and install in those sizes,” says Johnson. Although initially slated for automotive applications, Heat2Power soon considered its concept for other uses and are now paying ‘strong attention’ to the CSP sector. “It makes more sense to run a heat engine 12-15 hours per day on concentrated sunlight that it does for about an hour per day in a car”, says Managing Director, Randolph Toom. “We see several target-markets. But as the technology [is] small, it fills the gap between Stirling engines and steam/gas turbines. This gap will become more and more important in decentralized power-generation, and in countries where the grid is not yet available or in poor condition, it can become a life-changer”, he adds. Sopogy’s focus is to expand into new and emerging solar power markets between 1-50mw and substantially reduce costs. However, given the larger size of their system, Trimodal’s target CSP markets are primarily in large commercial and utility-scale solar-thermal projects. However, size may not be the only important factor in driving down costs. As Toom highlights, generators that run 24 hours a day are great for rapid returns on investment. “In CSP applications, we see rooftops becoming more important because energy reflected by mirrors isn’t heating up the building, which in turn requires less cooling capacity. In my opinion, factories, shopping malls and large office buildings in sunny countries should always be equipped with CSP”, he says. However, does the emergence of waste heat capture technology undermine current views that the optimal size for CSP is upward of 100mw? At this stage it’s difficult to tell, since the optimal sizing of projects depends on many factors, including grid-access and the availability of land and local water resources. “I think that at the end of the day the question will not be ‘what is the optimal size of CSP?’ but rather ‘what size CSP do I want?’ Since the market in not yet mature, and neither are some CSP technologies, we will see the question coming back and being answered differently according to local conditions, politics, presence of a reliable grid, local cost of maintenance and so on,” says Toom. European project Desertec could power Europe within five years as solar technology in walls and curtains comes closer to being commercially viable. The European energy commissioner recently announced that Europe could draw clean energy from solar panels constructed in the Saharan desert within five years, half the initial 10-year estimate. The series of solar projects in Northern Africa known as Desertec are funded with the help of the EU and some European companies, in the hope that the EU will meet its target of generating 20 percent of its energy from renewable sources by 2020. The latest statistics from Europe’s Energy Portal show that in 2006 the EU as a whole produced 9.2 percent of its energy from renewable sources, however the production of renewable energy and the target EU members hope to meet by 2020 varies from country to country. For example Malta, which produced 0 percent of its energy through renewable resources in 2006, aims to meet a target of 10 percent by 2020, while the Czech Republic which produced 6.5 percent of its energy from renewable sources in 2006 aims to increase this to 13 percent by 2020. Solar technology could also soon become practical on a smaller scale, being used in households in order to reduce individual carbon footprints and increase domestic reliance on renewable energy. Konarka technologies have been developing thin film photovoltaic for nine years and are currently in partnership with Arch Aluminum and Glass in an effort to produce solar technology that could be used in home fittings such as curtains or walls thereby reducing household reliance on fossil fuels. The cells under development can store and reuse light from lightbulbs as well as the sun and are made of recycled materials. Other companies, such as Solar Technologies FZE, are also hoping to develop solar panels for use in private accommodation. Technology in small-scale architecture has been in development for several years and Hawaii-based company Sopogy released commercially available solar technology for rooftop installations in 2009. As general counsel, Pamela Ann Joe guides her venture-backed technology company through the many legal and financial issues that challenge the alternative-energy industry. She also is a guiding force in the industry. She was a member of a legislative working group that developed alternative-energy initiatives for the state. And she represents the sole concentrating solar power stakeholder in an ongoing effort to develop guidelines for the state’s Feed-in-Tariff Renewable Energy Incentive Program. Outside of work, Joe provides legal services to startup business and nonprofits either pro bono or at reduced cost. She also volunteers with the Hawaiian Humane Society, Aloha United Way and the Kam Society, a Chinese cultural organization. At work, she encourages her co-workers to reduce their impact on the environment. One such initiative is “Fossil Fuel Free Fridays,” when employees are encouraged to find alternative means of traveling to and from work rather than using their cars. Beyond Zero Emissions’ Mathew Wright and Scott Bilby speak to Darren Kimura, President and CEO of Sopogy, a leader in MicroCSP technologies, about the commercial availability and application of solar technologies. Applications including Direct Heat, Power generation with an organic rankine cycle and solar air-conditioning using absorption chiller a huge emerging market. The implementation of regulations for the production of clean energy in buildings could boost the development of a new market for micro-CSP technology. Different regulations aimed at the creation of systems for generating clean energy in buildings, are being introduced in many countries as part of an overall strategy on energy efficiency. Given that 74% of U.S. electricity consumption occurs in buildings, it is not surprising that energy efficiency and renewable energy are essential criteria in establishing certification standards for clean building construction, including: LEED certification by the U.S. Green Building Council and the British BREEAM certification. This would open new market opportunities for a relatively new technology such as micro-CSP that could be used to generate clean energy in buildings. The micro-CSP technology can be used to generate electricity and as a heating or cooling system, being able to generate energy in a range from 75 KW to 20 MW. Furthermore, due to its size can be installed in small areas such as the roof of a building. ”A roof of a small size, such as a shopping center, is sufficient to install the equipment micro-CSP,” says Darren Kimura, CEO of Honolulu-based company Sopogy Inc, which has developed a variety of micro-CSP systems. In the case of the technology developed by Sopogy, the operation of ORC (organic ranking cycle) is based on the temperature difference in a closed loop, rather than using steam. Moreover, unlike the large-scale CSP technology, micro-CSP does not need such strict conditions of solar radiation and can be used in cities. This is thanks to the ORC system is not based on a steam turbine and therefore not affected by the decrease in solar radiation produced, for example, by the passage of a cloud that causes a drop in steam temperature and the resulting system malfunction. The French producer heat2power version also has its own micro-CSP technology, which uses a combustion engine instead of steam. The idea is similar to that of a conventional combustion engine with the difference that in this case the machine is fed with compressed air using an external heat source (air heated in a solar receiver to 1200 ° C) rather than fuel and by internal combustion. The system uses a solar concentration mechanism in a point and refraction of radiation to a central receiver tower. Heat2power model can be produced in small sizes, generate 10 to 500 KW and used from a second hand engine single cylinder 0.5 liter to a large marine engines. Like the model Sopogy, heat2power technology can be used to heating, cooling or desalination. ”The roofs of industries are an ideal location for small-scale CSP technology. There are no search costs of land and the system can provide chilled or electricity to the factory, “says Randolph Toom, heat2power director. This is important if one considers that in some regions the air conditioning is responsible for more than 50% of electricity consumption in buildings for periods of about 6 months. The micro-CSP technology can aid the design of buildings cleaner because this system would reduce the consumption of fossil fuels for heating, cooling or power supply in buildings. Currently, both the LEED certification and other regulations, do not require the use of a specific clean technology. However, micro-CSP systems are presented as a very strong compared to other technologies so that builders can obtain such certifications. The LEED certification gives 7 points for a total of 110 points possible for the generation of renewable energy in the building. The UK BREEAM certification also awards points for using renewable energy or produce low emissions of carbon dioxide. In this micro-CSP systems have advantages over other technologies such as solar photovoltaic panels. ”It emits more carbon dioxide in the manufacture of photovoltaic panels on the production of micro-CSP systems,” said Rajan Kasetti, Executive Director of the California company Terrafore Inc, a consulting firm on energy and technology in the sector renewable. Kasetti also asserts that while PV systems can cover 5-10% of the energy needs of a large building, micro-CSP technology on a roof can provide 30-40% of the required energy. Builders tend to avoid the use of systems of renewable energy generation due to the additional costs they pose. However, should find micro-CSP technology very attractive if one considers that these systems have a shorter amortization period with respect to other options. Kimura believes that for micro-CSP this period ranges from 3 to 7 years depending on the size of the project. ”The use of PV systems increases costs. But not so with micro-CSP. In fact, this technology increases the energy efficiency of the building, “says Kimura. This is demonstrated by a study of comparative efficiency in air conditioning systems. The photovoltaic efficiency for these systems would be 9% while that could reach 40% with micro-CSP. Furthermore, compared with other energy systems removable small-scale micro-CSP technology is more efficient and given its storage capacity is also a more stable option. ”By using micro-CSP can store heat that can be used later to generate electricity or steam in periods of low solar radiation,” notes Kasetti. “CSP technology is much more stable than photovoltaics, which is subject fluctuations, “adds Kasetti. Supportive measures such as feed-in tariffs will play a key role in the growth and market penetration of micro-CSP technology. ”The proliferation of solar power has occurred in countries where there are favorable feed-in tariffs, such as in parts of Europe,” said Kasetti. The British government has recently introduced feed-in tariffs to encourage users and local communities to implement small-scale facilities clean energy production up to 5 MW. The British legislation allows users to achieve economic benefits through the installation of clean energy generation. The government also plans next year’s introduction of measures to encourage the installation of the type of micro-CSP technology. These measures will undoubtedly mean a boost for the sector. The increase in demand for clean buildings for multinational companies committed since the environmental point of view also influence the expansion of micro-CSP industry. ”The builder will have a marketing advantage if the facility has systems for generating clean energy,” says Kasetti. But Kimura believes it will take at least five years before micro-CSP technology is commonly used in buildings. ”Our challenge now is to educate the public about the benefits of micro-CSP technology and explain that such systems are only usable in the desert and can also be used to generate steam and as cooling systems, “concludes Kimura. Green building certification along with a host of demand-drivers may provide micro-CSP with critical market leverage. Green building certification is gaining traction in many countries as a means of energy management. With buildings accounting for some 74 percent of electricity use in the United States, it is hardly surprising that energy efficiency and use of renewable energy have become key criteria in green building certification standards such as US Green Building Council’s LEED certification and UK’s BREEAM certification. As a relatively new product to market, micro CSP opens up new opportunities for buildings – green or otherwise – to efficiently generate on-site renewable energy. A portable and scalable on-site solar energy solution, micro CSP can be used to generate electricity, as well as to provide heating and cooling. Suitable for generating energy in the range of 75 KW to 20 MW, micro CSP’s size means the system can be installed in a small area – including on the rooftop of a building. “A small rooftop, for example the roof top of a large box store such as Wal-Mart, is sufficient to install the micro CSP system,” says Darren Kimura, chief executive of Honolulu-based Sopogy Inc, which has developed a range of micro CSP solutions. In Sopogy’s case, the micro version runs of an organic ranking cycle (ORC), which instead of using steam, uses the temperature difference between fluids in a closed loop. Unlike large-scale CSP, which requires desert-like conditions of perfect direct normal irradiation, Sopogy’s micro CSP can operate in or near cities. This is because the ORC is less vulnerable than plants running off a steam turbine, where a cloud passing overhead can cause the steam temperature to drop and the system to shut down. France-based technology developer, heat2power, has come up with its own version of micro CSP, which uses CSP to power traditional cylinder engines rather than steam turbines or Stirling engines. The concept is similar to that of a standard combustion engine, except the engine is powered by compressed air, using an external heat source (air heated on a solar receiver to around 900 – 1200°C) rather than from fuel creating an internal combustion. Using a point concentrating solar array to reflect light and heat to a central receiver tower, the heat2power model is scalable and can utilise anything from a single cylinder 0.5 litre engine to large marine engines based on marine engine blocks, generating power from 10KW – 5MW. An added advantage is that the engine runs in an ‘open cycle’ and therefore does not require cooling towers or expensive dry cooling used for condensing steam. Like Sopogy’s solution, heat2power’s captures the waste heat, which can then be used for heating, cooling and desalination. “Factory roof tops are the ideal place for small scale CSP. It doesn’t require purchase of land and the shade of the mirrors lowers the cooling requirements of the building underneath“ says Randolph Toom, managing director of heat2power. This is significant, given that in many regions air-conditioning can account for more than 50 percent of the electrical usage in buildings over a six-month period. Micro CSP can help take green building standards to the next level, given that the system reduces the use of fossil fuel to heat, cool and power buildings. Currently, LEED and other green certification systems do not require specific renewable technology, nor do they standardise energy systems. However, compared to other options on the table, micro CSP promises to significantly help builders achieve points for certification. LEED certification currently allows up to seven points for on-site renewable energy, out of the total 110 points possible. BREEAM, UK’s green building certification standard also awards points for the use of low carbon energy and renewable energy. Here, micro CSP has an advantage over other similar-scale solar products such as photovoltaic panels. “More carbon is emitted during manufacturing of PV panels than in making micro CSP system,” says Rajan Kasetti, chief executive of California-based Terrafore Inc, a renewable energy consulting and technology firm. Kasetti also notes that while PV technology may be good for meeting 5-10 percent of a large building’s energy needs, micro CSP on the rooftop can provide 30-40 percent of the energy needed. Builders, who often cite increased cost of adding renewable energy system as a reason for avoiding them, will find micro CSP’s shorter payback period very attractive. Kimura estimates the payback to range from three to seven years, depending on project size. “If you use photovoltaic, it does increase the cost. But solar thermal cooling does not. It actually makes the overall building more efficient,” says Kimura. This is demonstrated via an efficiency comparison in the case of air-conditioning. Photovoltaic efficiency is around 9 percent, compared to solar thermal efficiency, which can be as high as 40 percent. Toom similarly notes that the return on investment on the heat2power CSP solution is much faster than for other solar options. “The cost is roughly €300/kw (US$407/kw) for a heat2power engine, compared with around €2000/kw (US$2,712/kw) for a Stirling engine or €1000/kw (US$1,356/kw) for a steam turbine,” he says. Compared to other small-scale renewable energy options, micro CSP is a more efficient and, given its capacity for storage, a more stable option. “Using micro CSP, heat can be stored which then can be used to generate power or steam when the load is higher in the evening or when the sky is cloudy,” points out Kasetti. “CSP is also much more stable than the PV which is subject to fluctuations,” he adds. Support policies such as feed-in tariffs will play an important role in increasing the market penetration of distributed generation systems such as micro CSP. “Solar energy proliferation has happened in countries where there are good feed-in tariffs as in some parts of Europe,” notes Kasetti. The UK government recently introduced a feed-in tariff scheme to encourage households and local communities to set up small-scale clean energy generation of up to 5 MW. The UK’s scheme enables households to earn money by installing low carbon electricity generation. The government also plans to introduce renewable heat incentive for installing micro combined heat and power next year. Such policies, if adopted elsewhere, will undoubtedly boost renewable micro-generation technologies such as micro-CSP. Increasing demand for green buildings from sustainability-committed multinational companies will also expand the number of micro CSP installations. “The builder has a marketing advantage if the building is fitted with on-site renewable energy,” says Kasetti. But Kimura estimates it will take about five years before micro CSP becomes commonplace in buildings. “Most other CSP companies are selling utility scale power projects. For us, the challenge is in educating people about the benefits of micro CSP and explaining that CSP is not just for the middle of desert and that it can actually be used for generating steam and cooling as well,” he concludes. Submitted by Baerbel Epp on Sun, 01/24/2010 – 09:00. A solar field for electricity production: The 1,000 parabolic trough collectors by Hawaiian manufacturer Sopogy, which stand in the hot Kona desert on the Big Island of Hawaii, equal the output of a 2 MW thermal power. In the middle of December, the Natural Energy Laboratory of Hawaii Authority, USA, inaugurated a huge solar thermal power plant by Hawaiian manufacturer Sopogy, consisting of 1,000 MicroCSP solar panels. With a reflection surface of 5 m2 and a length of 3.7 m, these parabolic trough collectors weigh 68 kg and follow the sun from east to west during the course of the day. Their reflectors are delivered by the German aluminium coating specialist Alanod Aluminium-Veredlung GmbH & Co. KG. They focus the sunlight on the receiver, which is filled with a liquid that heats up while running through a row of MicroCSP units. The demonstration project with a thermal power rating of 2 MW spans across almost 4 acres in the hot Kona desert on the Big Island. “Through the use of mirrors and optics and an integrated sun tracker, these panels achieve an efficiency of 20 to 40 %, which is much higher than the average efficiency of crystalline photovoltaic modules with about 15 %,” the website of Sopology explains. The company was founded 7 years ago and focuses on bringing new renewable energy technology to the market. To date, Sopogy has 8 solar thermal energy facilities with MicroCSP technology in operation around the world. They cover a wide range of applications, from solar cooling and process heat to desalination. The latest installation in Hawaii is also the first one to produce electricity. The US $20 million investment includes a lab and some portions of the parabolic trough field that will be used for advanced field R&D. The system also uses a thermal energy storage buffer to store some hot liquid for allowing energy production during cloudy periods and in the evening. Private equity investors supported the project. “We have a power purchase agreement in place, which allows for a reasonable rate of return,” Darren T. Kimura, President and CEO of Sopogy Solar Power Technology, explains. The background to this story: The state of Hawaii is currently importing 90 % of its energy. The overwhelming dependency on energy imports prompted Governor Linda Lingle to sign a Clean Energy Initiative at the beginning of January 2008. The initiative aims at producing at least 70 % of the islands’ electricity through clean energy by 2030. The concentrated solar thermal technology is a major step towards reaching this ambitious target. Sopogy and its local solar project development partner Keahole Solar Power have the aim of adding 30 MW of MicroCSP power to the electricity grid of the state by 2015. Sopogy, Inc. (Sopogy), founded in 2002 and headquartered in Honolulu, specializes in the development, design, manufacture, and distribution of MicroCSP™ technology. Their award-winning solar collectors are used for power, steam/process heat, hybrid, desalination, refrigeration, and solar cooling. Sopogy is focused on expanding the middle market for MicroCSP™ in areas that conventional large-scale Concentrated Solar Power (CSP) is not viable. Their goal is to lower the cost of smaller-scale CSP in order to become competitive in areas with high utility costs. Sopogy is the world’s first micro-concentrated solar power provider. The concept of scaled down Concentrated Solar Power (CSP) is what distinguishes MicroCSP™ from large scale CSP. MicroCSP™ is intended to broaden the market for solar technology and applications for commercial, industrial, and utility use. Concentrated Solar Power systems use lenses or mirrors and tracking systems to focus a large area of the sun’s heat into a small beam. The concentrated heat can then used as a heat source for a conventional power plant or any heat driven process like steam generation. Sopogy utilizes concentrated solar power in the form of a parabolic trough to create solar solutions that improve the quality of life and simplify the solar power business to efficiently address the 100kW-50MW gap that PV and large Concentrating Solar Power (CSP) companies cannot accommodate. Sopogy’s highly differentiated approach to solar energy brings solar solutions to all energy users in a modular, rugged, concentrating solar thermal system. Sopogy is uniquely positioned with scalable solutions to quickly produce power. Sopogy invented a new way to take proven CSP systems and reduce the product size to be appropriate for Hawaii. This includes redesigning the space-frame so the collector can withstand Hawaii’s tropical storms and rains, changing the metals to survive the salty and volcanic atmosphere, and using local contractors to bring green-collar jobs to Hawaii while giving the systems reliability. The company also developed a proprietary manufacturing and assembly process to make the deployment of solar thermal systems internationally inexpensive and more efficient. “Sopogy has incorporated our unique frame, ready-to-assemble manufacturing, and automated controls into a new compact product designed for rooftop installation. This brings concentrating solar power to the commercial and industrial facility in a cost effective, space efficient, and contractor friendly solution. All combined, our customers receive the fastest paybacks available in solar, helping them save money and fight global warming,” said Darren T. Kimura, President and CEO, Sopogy, Inc.
Sopogy’s key products are the SopoNova™, SopoFlare™, and SopoLite™. The SopoNova™ is a larger ground-mounted solar collector used to create electricity, or any of the other applications listed above. The SopoFlare™ is a smaller rooftop product designed for generating air conditioning or producing drinking water from seawater. SopoLite™ is a fully functional mobile lab unit used to gather data at any given location and evaluate a project site’s potential. Independent energy analysts have observed the MicroCSP™ market as being over a $20 billion dollar industry. Sopogy’s collector SopoNova™ was recognized by Plant Engineering as the 2008 Product of the Year Gold Award, a win over companies like Mercedes-Benz and Siemens. National Society of Professional Engineers awarded Sopogy’s SopoNova4.0TM New Product Award for 2008. Recently, Sopogy introduced SopoFlare™ the newest MicroCSP™ product in the world of Concentrating Solar Power solutions at Solar Power International 2009 in Anaheim, the largest solar conference and expo in the U.S. SopoFlare™ is the first commercially available Concentrating Solar Power technology designed specifically for rooftop installations with a unique, easy mounting and fastening system. The system easily retrofits into existing facilities, reducing natural gas consumption, giving users an estimated 3-year payback on installation. Locally, Sopogy has been integral in creating green jobs in Hawaii, encouraging the growth of the technology industry in our State, promoting economic diversification, and attracting foreign and mainland investors. Sopogy’s homegrown Hawaiian technology will help us become independent from foreign oil. We have the intelligence here in Hawaii to make us a beacon for the rest of the world when it comes to clean and green power. Sopogy understands that the community is a part of our company growth and we have been working hard in giving back as volunteers in community service events. In 2009 Sopogy supported the Aloha United Way, Ma’o Farms, Hawaii Humane Society, the Food Kitchen for Homeless, Keep America Beautiful clean-up, Alzheimer’s Association, and helped organize a toy drive for Institute for Human Services Women’s Shelter. In addition, company executives have donated over 50 hours to educate the public through educational outreach.